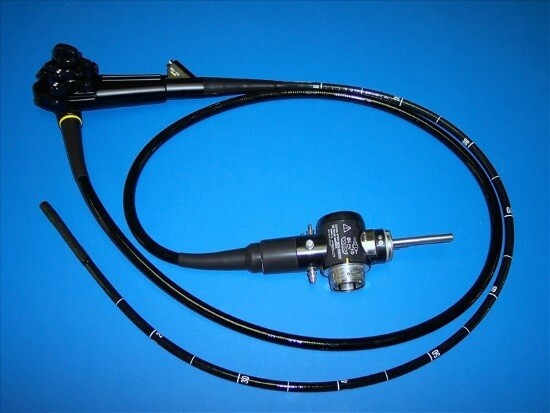 Fibroesophagogastroduodenoscopy (fegds, EGD) is an endoscopic method for the study of the mucosa of the esophagus, stomach and duodenal bulb (duodenum) using a flexible optical inspection probe. It should be noted that the survey in most cases is performed under local anesthesia with Lidocaine. However, gastroscopy is often carried out under General anesthesia, that is, in a deep sleep, that allows to avoid significant discomfort. At the present capacity of our medicine esophagogastroduodenoscopy is the most common examination because of sickness of the stomach and intestines according to medical statistics, ranks first in the world among other pathologies. Every day, doctors make about 300 thousand endoscopic examinations. If you compare EGD with x-rays of the digestive tract (gastrointestinal tract), the latter are less informative for the diagnosis of diseases. Vomiting with admixture of blood. Clinical signs of gastric ulcer. Positive family history of cancer. Long lasting dyspeptic symptoms (nausea, belching and heartburn). Some preparation before abdominal surgery. Gastroscopy of the stomach with curative intent: foreign body removal, hemostasis, polypectomy and more. The request of the patient (preventive medical examination). Control examination after treatment of the gastrointestinal tract (GIT). The above listed common indications for gastroscopy. What should be the factors determining the need to perform EGD with anesthesia? Extremely low threshold gag reflex, which does not allow to conduct a probe into the esophagus, then you need more effective to anesthetize the throat. Mental illness is manifested in a strong fear, panic, vegetative reaction (shortness of breath, palpitations, dizziness). This category of patients is not suitable for local anesthesia with Lidocaine. Early childhood when it is necessary to immobilize the child. Based on the experience of many experts it can be noted that the personal desire of the patient to undergo the procedure EGD with anesthesia is not always taken into account. The only exceptions are commercial clinics. Endoscopist if there are no direct indications for anesthesia in EGD, will always be to persuade the patient to FGS with local anesthesia. There’s a simple and logical explanation: common sedation during gastroscopy unsafe and only used in extreme cases! Severe allergic reactions to anesthetic drugs in history (in this case gastroscopy with sedation is not carried out). 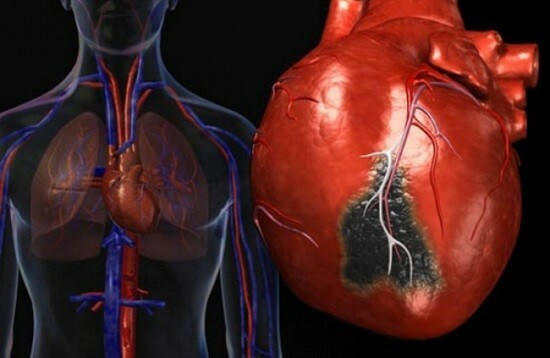 Cardio-pulmonary insufficiency 2 and 3 degrees. End-stage cancer of the esophagus or stomach. A strong narrowing of the esophagus, pylorus. The stomach under anesthesia not examined in the clotting of blood. Almost all diseases in the acute stage (EGD recommended only in remission if needed). Relative contraindications include deformity of the cervical spine when there is a risk of damage to the organs of the neck, as well as acute inflammatory diseases of ENT organs (tonsillitis, tonsillitis). Gastroscopy under anaesthesia lasts 20-30 minutes longer than usual FGS. Due to the need to prepare the patient for the introduction of the medicated sleep, and after the procedure to wait for his awakening. If prior to the gastroscopy with local anesthesia is sufficient to release only the stomach (to exclude the meal the day before), for sedation training involves a full inspection before any operation. Immediately before the endoscopy of the stomach measuring blood pressure, pulse and respiratory rate. For 8 hours and denied a meal. If all tests are normal, there are no therapeutic contraindications to the procedure, proceed to the introduction of medicated sleep. Gastroscopy in the dream lasts about 40 minutes. For General sedation using intravenous short-acting with rapid recovery from anesthesia, if necessary. 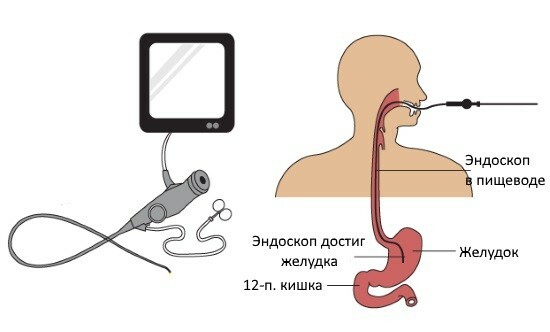 After immersion in a deep sleep, the doctor slowly inserts the endoscope into the stomach through the esophagus, examining simultaneously all the folds of the mucosa. Often EGD of the stomach ends the diagnostic or therapeutic manipulation, for example, a biopsy of the suspicious area or coagulation of the bleeding vessel. Gastroscopy of the stomach under General anesthesia, modern technology makes it possible to take a photo or record video to disk. After inspection of all the necessary departments endoscope is carefully removed, the pieces of mucosa are sent for histological examination and also stops the supply of anesthetic mixture. The investigated wakes up after 3-5 minutes. EGD during sleep occurs only in a small operation with a ready set for intensive care! Conduct regular outpatient gastroscopy. implications of anesthetic drugs on the Central nervous system (headaches, dizziness, nausea, sleepiness or agitation). Treatment effects EGD under General anesthesia aims to eliminate the root cause. If it’s bleeding or perforation, then resort to surgery. Pneumonia can be treated with antibacterial remedies at home. Complications of General anesthesia eliminate symptomatic (drugs that improve brain metabolism, cardiovascular, pain-relieving medications, healthy sleep and rest). Cancer of the esophagus, stomach or duodenum bulb. The narrowing of the lumen of the stomach. Agree, it’s not always the doctor find any changes. In healthy people during the inspection will be pink mucosa without any damage. In this case, the Protocol specifies: «the disease is not detected». READ 6 weeks pregnant ultrasound: how does that show? In conclusion, we should sum up what gastroscopy in a dream has its pros and cons. 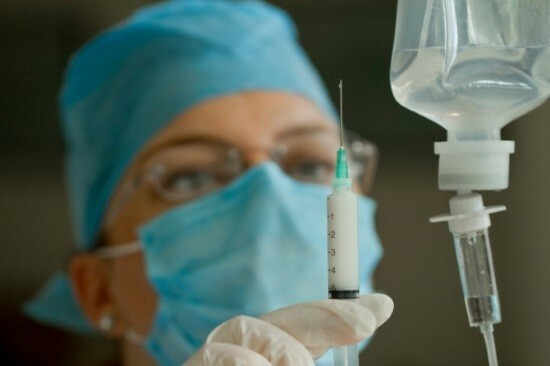 General anesthesia has never been considered a safe impact on the human body and if you have a chance where you can abandon it, better to do it. So consider the majority of doctors. I can understand them because they have a great responsibility for our lives and health. Of course, there are situations in which no anesthesia is simply not enough. For example, how to persuade year-old child to be screened, especially if there are vital indications for him? In such cases, a gastroscopy without pain. In addition to FGS with anesthesia carried out by other endoscopic procedure: colonoscopy, sigmoidoscopy, bronchoscopy. All of these procedures are technique, preparation, complications, consequences. For example, has its own characteristics diet after colonoscopy removal of polyps in the colon. Also a completely different preparatory phase of the study bronchi. In every city now so well-developed network of private medical centers that undergoing gastrofibroscopy in deep sedation does not cause special difficulties. In addition, in commercial clinics painless gastroscopy is performed just for prophylactic purposes.